You should, by now, have already read Weight Loss Basics: Introduction, and completed the Three Basics in Article 1. In this second article: Understanding Weight Loss Basics – 2, we will look at the fourth weight loss basic you need to understand – Why You Need A Reason To Lose Weight. So, you’ve concluded that you do have a weight problem, identified why you are over­weight, and eradicated any problems, psycho­logical or other­wise, that you may have had. Now you need to find a reason why you want to lose weight. As any doctor will tell you, obesity and the threat to your health and well being, not to mention a possible reduced lifespan, are a reality, not the figment of someone’s imagination. Looking not only better but also feeling better will come naturally if you find the real reason you want to lose weight. Constantly telling your family or friends you’d love to lose weight and are thinking about joining a weight loss program isn’t going to solve your weight problem. “Here we go again, heard it all before” they’re probably thinking, and wishing you would do something about it. Telling yourself you “just want to look better” isn’t going to help you in the long term either. A visit to a hairdresser and beauty salon, and perhaps a new wardrobe, may help you look better, but again, it certainly won’t solve your weight problem. For successful weight loss you need a solid reason, something that will motivate you, something that will make you determined to succeed. Motivation is the keyword here. How do people reach the pinnacle of their chosen profession? Whether it be sport, business, medicine or any other you may mention, they all had one thing in common: Motivation. It gives the impetus, the desire to succeed, the will to win. Without it you will probably fail at anything you attempt, including weight loss. How do you find a reason that will motivate you in your weight loss ambitions? Look at yourself first. Try using visualization. 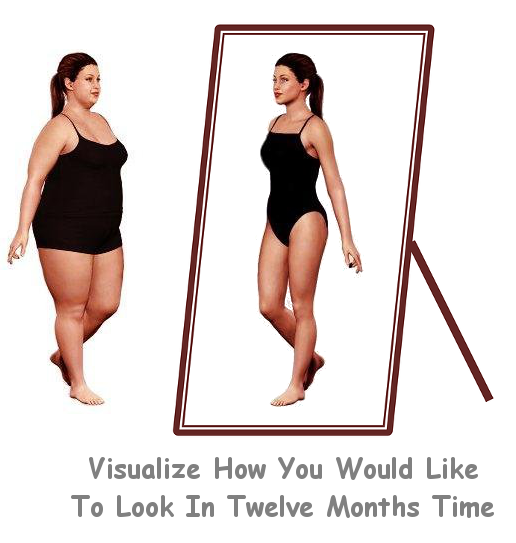 When you look in the mirror don’t see yourself as you look now but what you want to look like in, say, twelve months. Close your eyes and imagine yourself as a slimmer, fitter and healthier-looking you. How is your excess weight or obesity affecting your lifestyle? Can you no longer do things that you would love to do again? Do you feel, because of your excess weight or obesity, there has been a deterioration in your general health? Have you ever had an embarrassing moment in a restaurant, theater or other public place due to your excess weight or obesity? Is there something that you feel is detrimental to or adversely affecting them? Do you feel that, due to your weight problem, an extra burden is being placed on other members of your family? 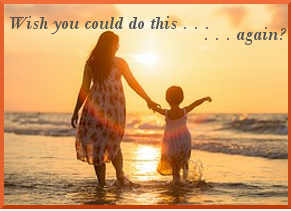 Do you have children and are not able do things with them that other parents can do? Things like playing with them in the park or on the beach. Joining them in the swimming pool. Sharing some of their rides in the theme park or fairground. These are just a few suggestions that may motivate you to start on a weight loss program. There are probably more reasons that you can look at that are personal to you. Although Weight Loss Basics – 2 gives some reasons you may wish to consider, it really doesn’t matter what your reason is as long as it gives you the motivation required to help you succeed in your weight loss endeavors.